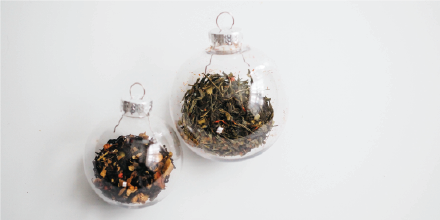 In need of a last-minute gift for the special tea-lover in your life this holiday season? Jackson Avenue Tea Company is your one stop tea shop with over thirty flavors of tea, there is something for everyone. Check out our most popular tea selections for some gift inspiration. CBD tea is the perfect option for those looking to take the edge off throughout the holiday season and even makes a great gift for holiday hosts. Jackson Avenue has several flavors available including Chamomile, Turmeric, Peppermint, Hemp, and Green Tea. You can’t go wrong gifting this trendy tea—it was even named one of the “Five Hot Health Gifts” this season by Knox News. Jackson Avenue’s Detox Wellness Blend perfect for your tea lover looking to turn over a new leaf in the new year. Even if their resolution doesn’t last, they can continue enjoying this blend throughout the year. This floral blend features Honey Bee Pollen, Peppermint, Hibiscus, Eucalyptus, Rose Hips and much more. Kombucha is a fermented, sweetened black or green tea drink infused with probiotics, antioxidants, B vitamins and so much more. Also known as Scoby, this tea is made by adding fruit, herbs, and spices to a mixture of tea and SCOBY (a colony mixture of yeast and bacteria) and allowing it to ferment for the desire amount of time. The sour, vinegar-like taste is a refreshing alternative to soda for experienced tea drinkers who aren’t afraid to have a little fun. Jackson Avenue has all the products you need to finish off your tea themed gift-bag. Grab a Jackson Avenue mug to pair with the tea of your choice and your gift is complete -- It’s as simple as that. We may be partial to our mug, but we have plenty of other tools and accessories to complete your gift.